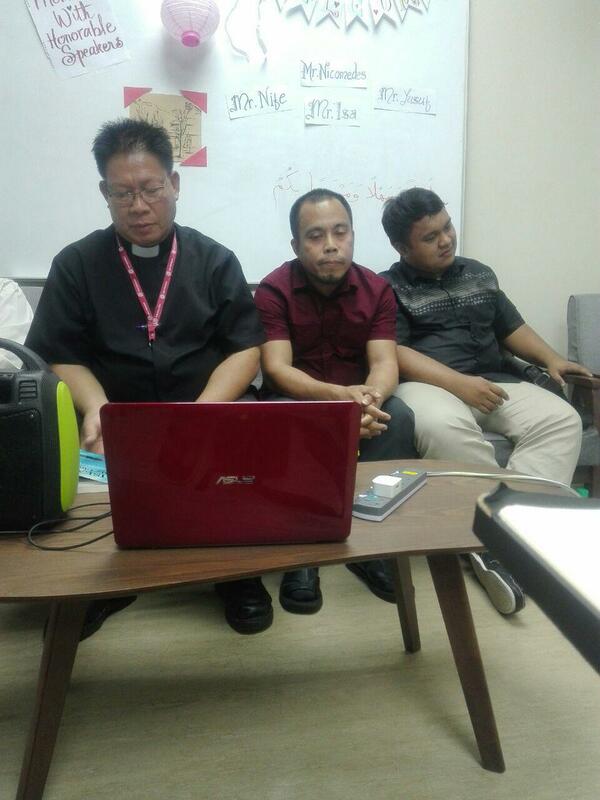 GOMBAK, 10 August 2017: An educational session held recently at the Kulliyyah of Islamic Revealed Knowledge and Human Sciences (KIRKHS) saw three former priests of the holiest church in the Philippines sharing their experiences of converting to Islam. Yujin Rodanthe Melendez, a former priest had been doing his preaching of Christianity for some 40 years. He never expected to become a Muslim before, as he had spent a long time in the church. The story began when he experienced an accident that he would die at the place, but fortunately he suffered only minor injury. He felt like there was something that God had wanted to disclose to him. A while after the incident, a friend who used to be his co-priest and later converted to Islam, had invited him to embrace the religion. After much deliberations, he pronounced his syahadah on 26 April 2017. “I never expected to embrace Islam before, but I am really grateful that Allah SWT has given me a path to Islam by way of my friends,” said Yujin Rodanthe Melendez. Roberto Shal was born into a Catholic religious family and later became a Catholic priest, whose love for Catholicism was unwavering. But his curiosity towards other religions such as Buddhism, Hinduism, and other Christian denomination, was enormous. When he discovered Islam and engaged in discourse about the religion, he decided to convert to Islam “without an ounce of doubt” in him. He felt as though he has found what he has been searching for all his life. He opposed all the misconceptions about Islam thrown by his colleagues and felt the tranquillity and peace being a Muslim. Naif Marino, a former debater of the Seventh-day Adventist Church began his career as a minister when he was only 12 years old. He had a dream to be a preacher and wanted to dedicate his whole life to preaching. He had studied a lot about Christian theology and was one of the best debaters in his church. But still, he harboured big doubts about his faith. Eventually, he challenged a Sheikh for a debate with a bet that if he lost in the argument he would convert to Islam. He lost the debate and converted to Islam. Losing the debate and embracing Islam did not make him regret. On the contrary, he loved it and felt a big peace in Islam. He studied Islamic book and the Qur’an and refuted what the media had said about Islam as a religion associated with terrorists. “If I were following the media telling about Islam, I will not embrace Islam. To know about the religion, don’t judge it from its people, but from its doctrine. Islamic doctrine has a clear teaching from the Qur’an and the teaching of the Prophet which I can’t refute,“ Naif Marino said.